A compact and smaller growing form of Lilly Pilly growing to 3m. 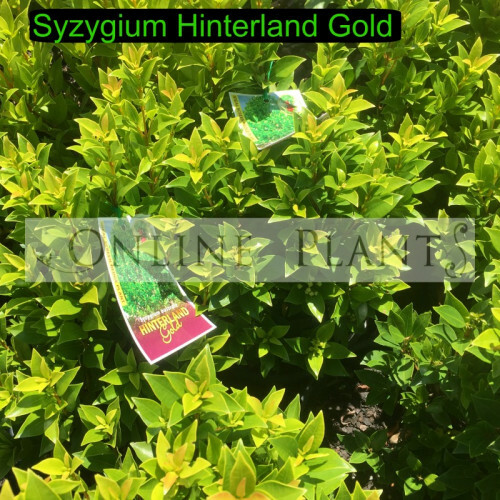 A great hedging hybrid with gorgeous bronze/gold new growth. Flowers a mass of white stamens through Spring and Summer. Responds well to regular pruning. 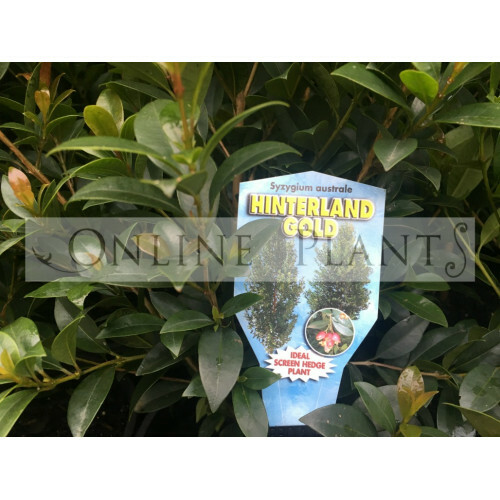 Psyllid free species. 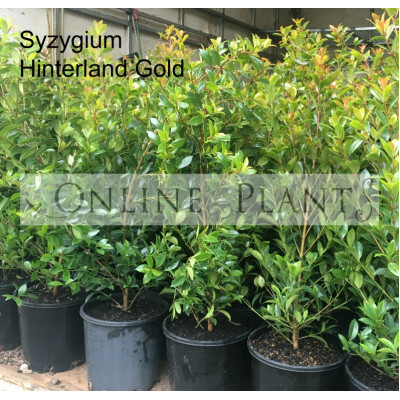 Buy Syzygium Hinterland Gold, Lilly pilly plants from Online Plants - leading plant nursery Melbourne offering Australian wide delivery. We deliver to all Melbourne, Sydney, Adelaide, Canberra and Brisbane, metropolitan and regional areas.